I recently came across this story on another Disney Fan Facebook Group. A delightful lady by the name of Katie Hardin (24 years old, from Pewaukee, WI) was recently at Disney Hollywood Studios in Orlando, FL and experienced a bit of her own Disney magic! While waiting in line for Tower of Terror, she met a very nice guy and they ended up talking and had some wonderful conversation! She felt a spark and had hoped to connect more after the ride, but then he was no where to be found! All she had was a ride photo to identify him and the help of all of you wonderful people! I had the pleasure of interviewing this adorable lady and learning more about her! I fell in love with this story and all the possibility and had to help! Keep reading and join in the search with us! 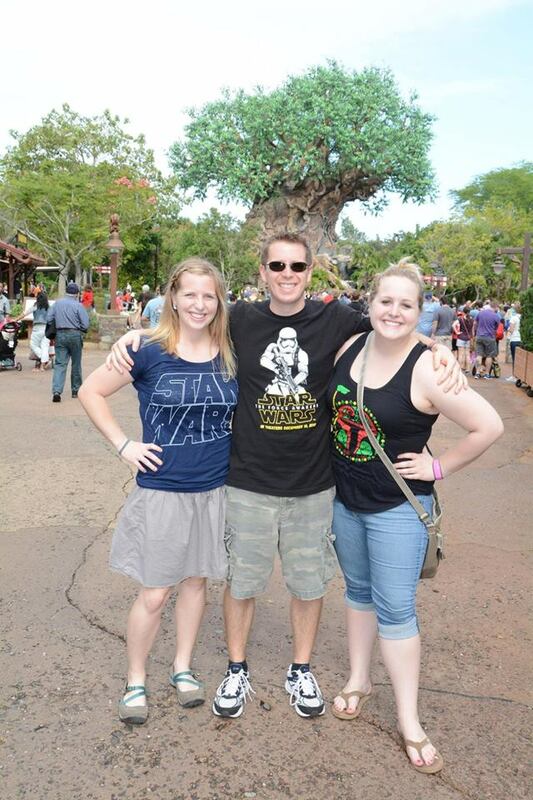 Katie (left), her brother Bill, and her sister Rianne on her recent Disney trip. WHAT DATE WERE YOU AT HOLLYWOOD STUDIOS? WHAT STARTED THE CONVERSATION WITH THE GENTLEMAN? He noticed that my brother, sister and I all had Star Wars shirts on, so he asked if we were excited for the new film to come out. HOW LONG DID Y'ALL TALK? He was incredibly sweet and kept the conversation going by continuing to ask me questions. Not to mention he was tall and handsome! DID HE GIVE YOU ANY DETAILS TO WHO HE WAS? IF HE IS READING THIS, ANYTHING YOU'D LIKE TO SAY TO HIM? I know it was only a brief moment, but you left a huge impression on me. By the end of the night, my sister had enough of me talking about that interaction, although she agreed that there seemed to be some major chemistry going on. You have such a charming personality that I found quite endearing. Even if we never meet again, you have given me hope for the future! WHAT HAPPENED AFTER YOU GOT OFF THE RIDE? We went to check our picture, but it looked like he was in a hurry and left pretty quickly. Not without one last glance over his shoulder at me! 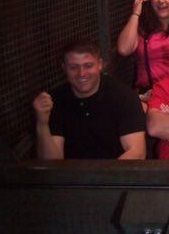 Thus ended that magical Tower of Terror experience. HOW OFTEN DO YOU GO TO DISNEY? I go as often as I can! My brother lives a little over an hour outside of Orlando so whenever my family and I go to visit him we try to make a trip to Disney. 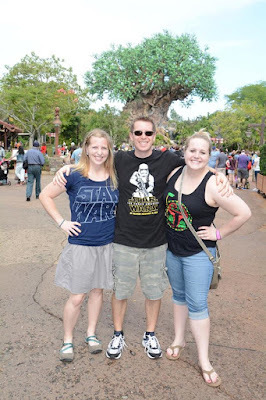 In 2015, I was there in January for RunDisney, May-June for Star Wars Weekends, and November for Thanksgiving. I will be returning in January again for RunDisney, and in April for the inaugural RunDisney Star Wars Dark Side Challenge. First and foremost, I love Jesus. The most important thing for my Prince Charming is that he shares this love with me. Next of importance is my family. Yes, I'm 24 and still live at home, but I wouldn't have it any other way. Besides, how else would I be able to save all this money to go to Disney all the time? wink emoticon Star Wars is a common love throughout my whole family, which was the initiating conversation with this mystery man. When I'm not at Disney World or watching Star Wars, you can find me cleaning houses with the company I started back in 2012. Katie turned to Social Media posting this picture in hopes that somebody out there would know him! Katie is the one circled in yellow, the guy circled in red is who we are looking for. 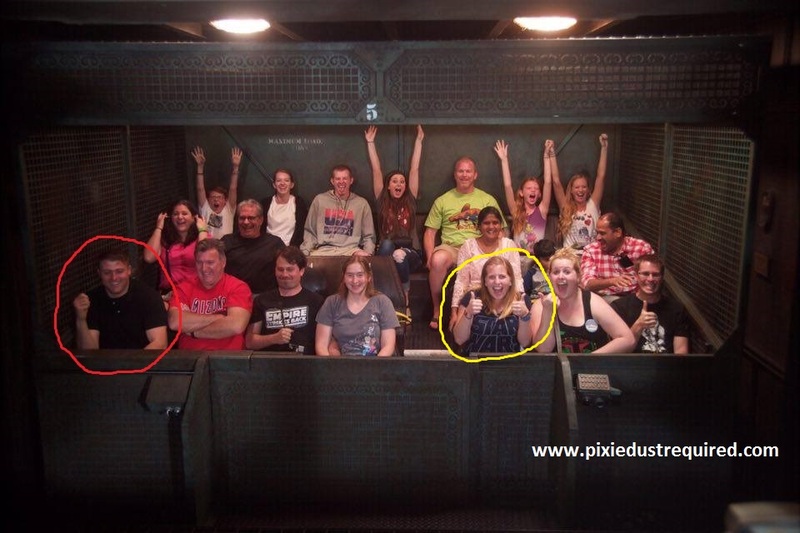 If anyone knows this guy, please ask him if he would be interested in re-connecting with Katie, have him contact us at the Pixie Dust Required Facebook page at www.facebook.com/PixieDustRequired and we will connect these two! Please share this post as much as you can! Thank you all my wonderful Pixie Dust Pals! STAY TUNED AND FOLLOW FOR UPDATES!! !